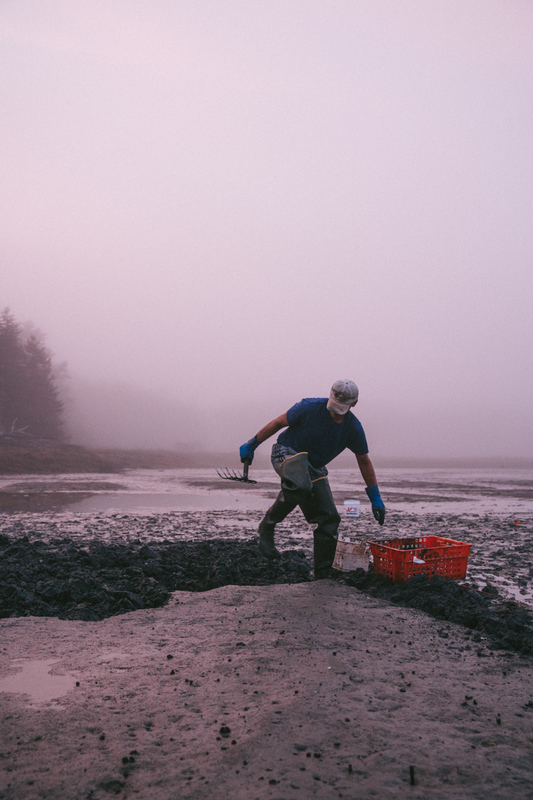 Chris Warner, a life-long shellfish harvester, digs for clams at the Heal Eddy Restoration Project in Georgetown, Maine, the only commercial-scale softshell clam farm in the state. The seeded, netted plots protect the clams from predators, ensure a successful harvest and take the guess work out of where the clams are, said Warner, adding that clam digging is always done at low tide. "A man only has so many tides in his back," Warner said.